The Unlock Xbox contest tasked average people with this: pitch a game idea. If it was good enough, you made it to the semifinals, where a webcast was produced and regular average joes like you and me got to vote on it. What it came down to was two games: Doritos Crash Course, and Harm’s Way. Since they were the two finalists, their games would be made for all to enjoy and a final voting would take place over which one was the best. This event launched yesterday with the release of the two titles, and while both are good for free titles one is definitely higher quality. Let’s start with Doritos Crash Course. 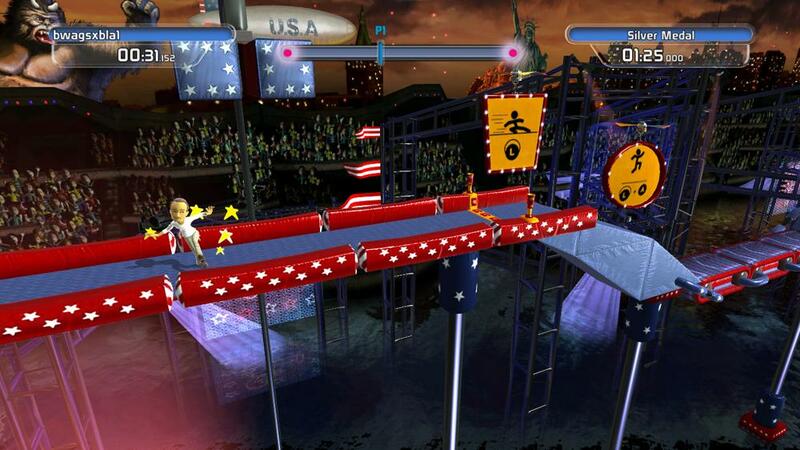 This game is a platformer, which is good, and is based upon a game show setting such as Ninja Warrior, MXP, American Gladiator, etc. 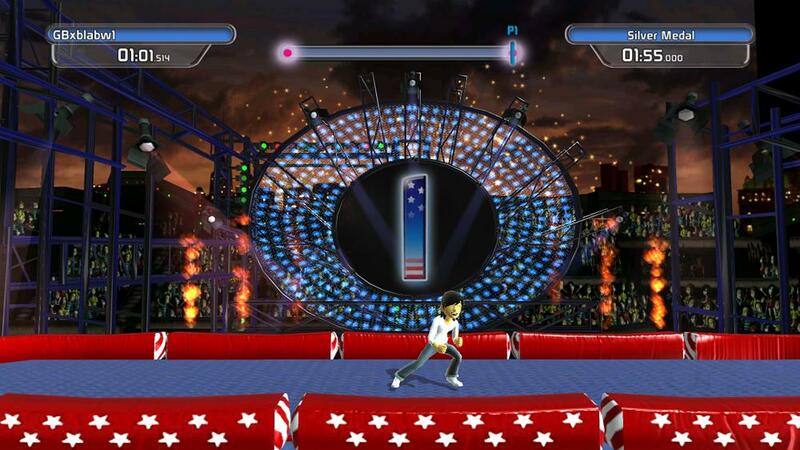 You run through levels ducking paintballs, swinging on ropes, sliding down slides, riding on air fans, etc. There is a good feel of competition as your friends scores are always to the right of the screen (if you have friends!) and will give you that motivation to bust through the level at a faster pace. There are leaderboards, online races, and about 15 levels to complete. Difficulty: The game doesn’t hold your hand, a lot of these levels are pretty tricky and will take a few tries to get them. It’s no Super Meat Boy, but it is definitely up there. Competition: Like I said before, the game encourages you to compete against your friend’s times and against them directly with online races. As I was playing I would get frustrated at some of the tougher parts but I’d look over and see “The_Dark_Slay3r 10:35” while I was still at the 2 minute mark and know that I still had a chance to redeem myself. It’s a simple trick on their part, and it works. Graphics/Animation: The textures in particular are very well done, high details on them all. The water in particular looks very nice, and you will see plenty of it. The characters themselves are just avatars, looks the same as every other indie game out there. 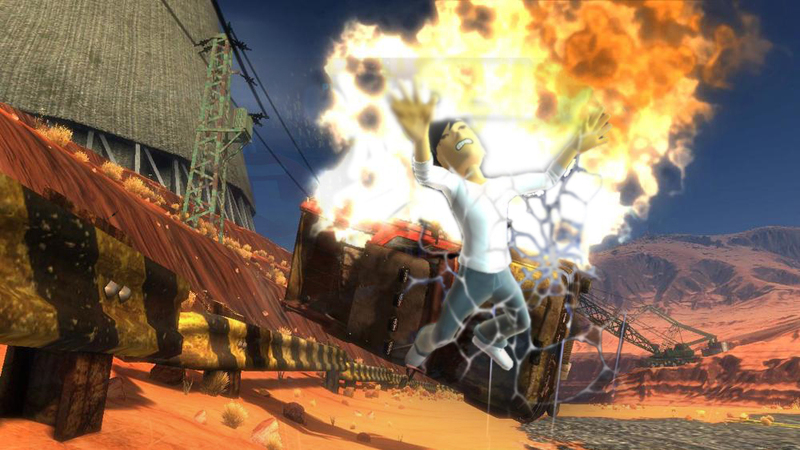 The animations that they do when running, jumping, swinging, or showboating at the end of their race are very exaggerated and humorous, and fit the game very well. It’s a fun game, but a very short game. “Chicken button”: After you successfully “die” about ten times on the same part, an on screen prompt will say “Stuck? Press RB to skip ahead!” or something along those lines, but what they don’t tell you is that it directly warps you to the end of the level, unlocking the next level but not saving. So I had skipped past a part, didn’t realize it didn’t save and would just come back to play it later, beat the second set of levels and turned it off. Came back an hour later and had to re do the entire thing. Leaving this button out, or better explaining of it would be nice. Score: Try it! It’s free! Lastly we’ve got Harm’s Way. 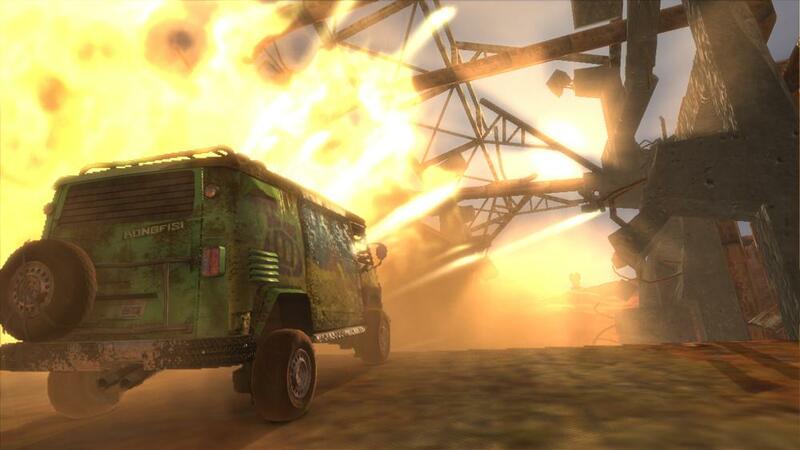 This game is very unique, for it is a shooter/driving hybrid, but not the same type as Twisted Metal and such. 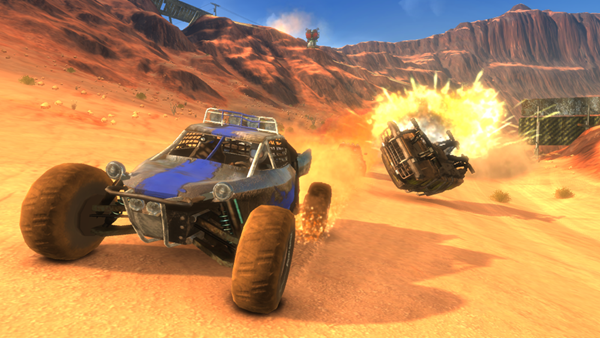 One player drives either: buggy, truck, van, or bus; each with different stats for armor, speed and handling. 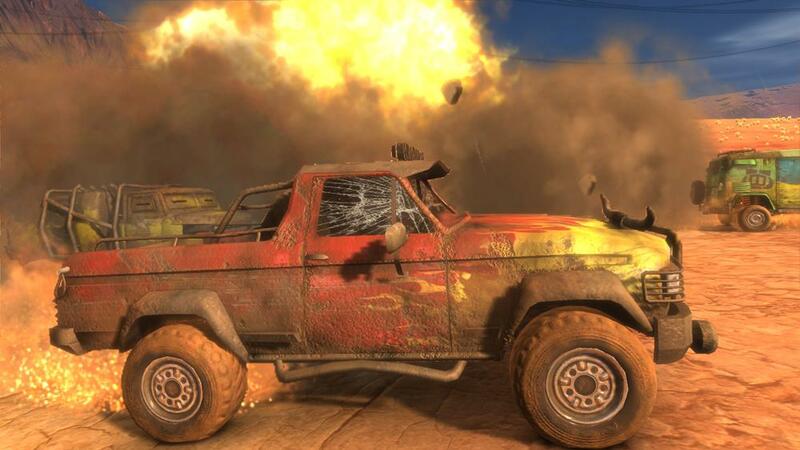 The other player on the team will be occupying turrets along the map at check points attempting to destroy the other cars, and to unlock secret areas. The driver can also pick power ups to increase his nitro (boost), health, and to power up his teammates turret and downgrade his enemies turrets. The game supports singleplayer, local multiplayer, system link multiplayer and online multiplayer, and is great fun online. Graphics: This game is beautiful, I would currently rank in the top XBLA titles based only on graphics, really quite good. The desert landscapes have just enough detail at high speeds that you can tell whats going on and where you are going, the cars have a lot of detail in them, as you can tell from the screenshots. I was very surprised that a game of this size (280mb) could have that much detail in the textures, but hey it worked! 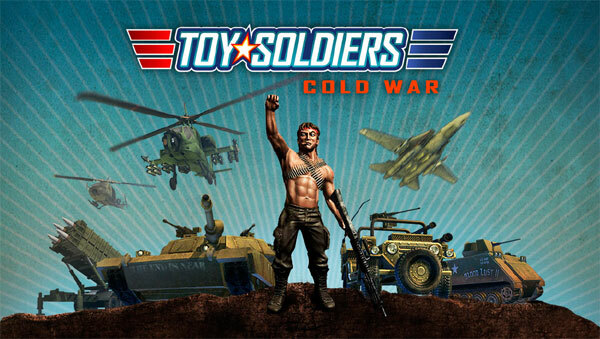 Multiplayer: The emphasis of team work in this game works very well, the turret player clears the path of players and obstacles for his driving friend, and stopping any other turrets shooting his teammate, while the driver can pick up power ups to make his shooter stronger while debuffing the enemies turrets. And in the end, both players earn points to determine who got first place overall, not just based on the race. It builds a strong bond between driver and shooter. Value: The game just feels like it shouldn’t be free with the amount of polish that went into it. By getting it for free and playing itI almost felt like I was robbing Carpenter and Bongfish of about $10. It clearly isn’t a full retail title, but as an XBLA title it could have been released for money and with a decent ad campaign would have done well. Physics: They are just bad. I wasn’t expecting highly detailed and precise collisions like in Burnout Paradise, but the physics in this game are just atrocious. If you miss a barrel roll slightly, land on your back at all no matter the angle, you are done. Crash into something solid? Done. It just feels like with the amount of polish they skipped the physics all together. It’s a shame. Levels: There are three levels, Navajo Arch, Wasteland, and Desert Bloom. All of which are the same, desert level with jumps and hills. A variation in levels would have been nice, even if it was only in theme. They could do desert levels, icy levels, barren plains levels, destroyed city levels, etc. But they stuck to deserts only. Online: The only problem with the online? There’s nobody playing it! Me and three others sat in a lobby waiting for a full game for nearly 20 minutes before we got tired of waiting and just played with the bots. In contrast: we switched to Monday Night Combat, found a full game in about 10 seconds. It baffles me that a paid game would have more people playing online than a free game. Announcer: Maybe I’ve been spoiled by all the good announcers recently like Mickey Cantor, but the announcer in Harm’s Way is terrible. 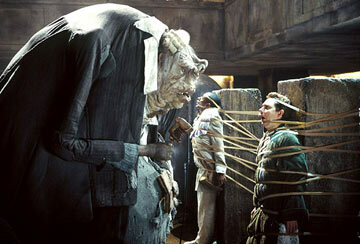 It sounds like the an Austrailian Vogon (Vogon: alien species from Hitchhikers Guide to the Galaxy) and forced me to mute the game at the beginning of every race because it is just so terrible. Score: Buy it! I may sound harsh in my criticisms, but the game is very quite good, and definitely is worth more than $0.00, and with it most likely winning the competition perhaps we will see a full fledged sequel with all the fixings soon. You can vote for which game you believe is better on the dashboard of your 360 on the Unlock 360 ad. Trailers for both titles below.